Everything You Need to Know about Dysport - Doctor Hermann M.D.,P.A. In addition, less Dysport is required for the same results you can get with Botox. This means that you will have fewer injection sites, decreasing the discomfort of the procedure. Dysport, like Botox, takes 10 to 14 days to reach maximum effect. However, you may begin to see some results within just a few days. How you respond to Dysport is individual to your body, and results can vary from person to person. The final results that you will get from Dysport are similar to those of Botox. It will eliminate fine lines and wrinkles, and keep them from returning for a few months. Results from Dysport sometimes do not last as long as Botox, but because it is cheaper it is not difficult to get a repeat treatment. If you are considering Dysport for your lines and wrinkles, contact us today for an appointment. 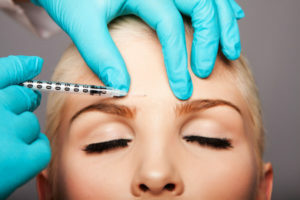 More important than the injectable you use is the technique used in the injection. We are experts in the use of Dysport, and can help you achieve the results you are looking for.